The Gävle Symphony Orchestra, founded in 1912, has a long and exciting history. The orchestra has since its inception played an obvious and significant role in the Swedish music scene and its 52 musicians are driven by an undeniable and heartfelt passion for music. The orchestra takes on a repertoire ranging from the baroque to the latest contemporary music. 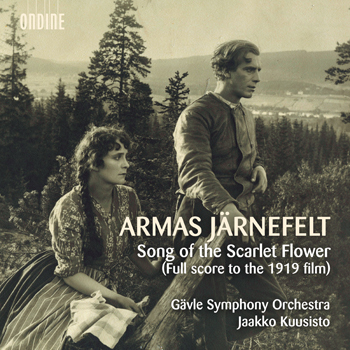 Through a series of acclaimed CD recordings, the Gävle Symphony Orchestra has also brought many older Swedish composers into the limelight and given them well-deserved recognition. Since 2013, Gävle Symphony Orchestra has enjoyed a fruitful musical partnership with principal conductor Jaime Martín, but the orchestra has also collaborated regularly with renowned international conductors and soloists such as Leif Segerstam, Isabelle van Keulen, François Leleux, Gabriela Montero and many others. Gävle Symphony Orchestra has also started a collaboration with the Eric Ericson Chamber Choir. Conductor, composer and violinist Jaakko Kuusisto enjoys an extensive career that was launched by a series of successes in international violin competitions in the 1990s. Kuusisto’s conducting repertoire is versatile and ranges from baroque to the latest new works, regardless of genre. He has worked with many leading orchestras, including Minnesota Orchestra; Sydney, Melbourne and Adelaide Symphony Orchestras; National Arts Centre Orchestra in Ottawa; NDR Hannover, DeFilharmonie in Belgium; Chamber Orchestras of Tallinn and Lausanne; Helsinki, Turku and Tampere Philharmonic Orchestras; Lahti Symphony Orchestra as well as the Avanti! Chamber Orchestra. He works regularly in opera as well; in 2016 he orchestrated and conducted Indigo at the Finnish National Opera, a work written by Eicca Toppinen and Perttu Kivilaakso of Apocalyptica. Kuusisto has been appointed Chief Conductor of the Kuopio Symphony Orchestra, starting August 2018. Kuusisto’s compositions consist of nearly 40 opuses: chamber and vocal music, orchestral pieces, operas, as well as music for films. His Violin Concerto, written for Elina Vähälä, has become an international success with performances by, among others, the Minnesota, Detroit and Singapore orchestras.